Amazon Career Job Recruitment 2017-2018 for VariousTransportation Specialist Posts, Jobs Application Form Download at (www.amazon.com). The Interested candidates will have to before Walk in Interview carefully reading the advertisement regarding the process of examinations and interview, Qualification, Offline registration processes, payment of prescribed application fee/intimation charges Walk in Date, Time, Venue etc are Given Below. 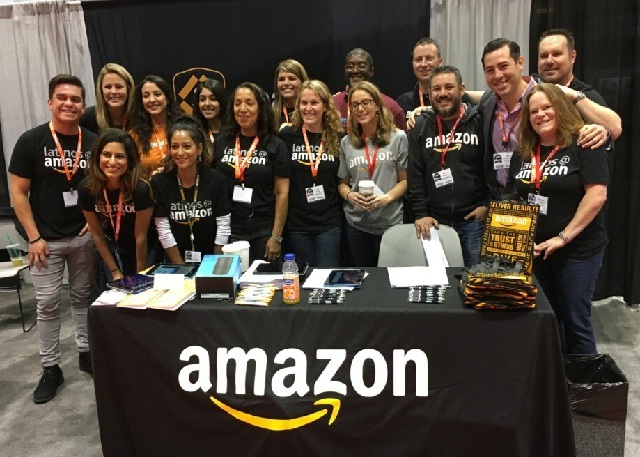 Amazon Immediate Walk-in Drive Transportation Specialist - Apply Now. A Transportation Specialist facilitates flow of information between different stakeholders (Delivery Associates/Delivery Service Providers/Station Managers/Customer Service Associates) and resolves any potential issues that impacts customer experience and delivery performance. A Transportation Specialist provides timely resolution to the issue in hand by researching & querying internal tools, by taking real-time decisions and having an effective communication with the stakeholders (over phone or email). An ideal candidate should be able to understand the issue and be able to drive Customer Experience without compromising on time. The candidate should have the basic understanding of Logistics and should be able to communicate clearly in the verbal and written form. The role will require the candidate to communicate with the stakeholders over the phone. The transportation specialist acts as the primary interface between Amazon and our delivery partners, so to our delivery partners- you ARE Amazon. The transportation specialist are expected to identify Delivery Partner concerns and work on troubleshooting delivery partner issues and provide process improvement suggestions. Effectively communicate in a clear and professional manner at all times. Provides/ expedites prompt and efficient service to Amazon customers/ delivery partners. Effectively manage sensitive cases by reporting up the escalation matrix. Maintains or exceeds targeted performance metrics. Actively seek solutions through logical reasoning and identify trends to suggest process improvements. Graduation/10 +2 in any specialization from a recognized university. Excellent communication skills (written and verbal) in English language. Self-disciplined, detail oriented and willing to work in night shifts. Team player, flexible per business requirement, ability to quickly learn & successfully adapt in dynamic environment. Raheja Mind Space, Madhapur, Hyderabad - 500081.